Our suction cup toilet brush set keeps toilet brushes off of the floor. Positions this necessary tool in a convenient and accessible location while keeping the brush sanitarily tucked inside. No more worries about tipping the toilet brush Tray over on your bathroom floor. 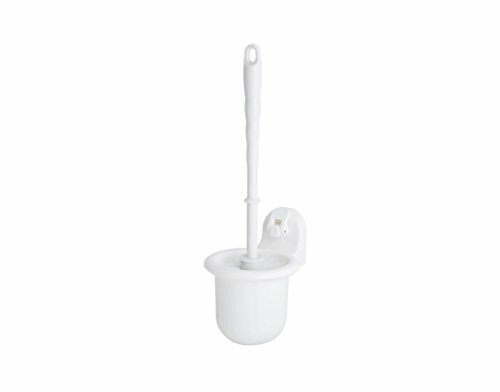 Easy-to-hold contour handle and removable cup enables easy cleaning. View More In Toilet Seats & Commodes. If you have any questions about this product by FECA, contact us by completing and submitting the form below. If you are looking for a specif part number, please include it with your message. YAOHAOHAO Bath rooms, the stainless steel bathroom armrest slip-resistant handles pull handles hand rails bath rooms bath rooms, glass armrest (Size: 68cm). YAOHAOHAO The place of the aluminum hand rails glass bath accessories bath rooms toilet rooms of elderly persons in any security in the hands of pull (Size: 30 cm). YAOHAOHAO The stainless steel bath rooms master bathroom armrest slip-resistant barrier-free bathroom hand rails hand rails older people glass handle shower shower safety bars (Size: 63 cm).